South Korea says its northern neighbor has developed compact nuclear warheads that could reach mainland America. Seoul also alleges Pyongyang shows no signs of stopping its nuclear program and has gained access to tons of weapons-grade plutonium. The South Korean Ministry of Defense published the revelations in a white paper, which states that North Korea has achieved significant technological progress in their attempts to create nuclear warheads for ballistic missiles. 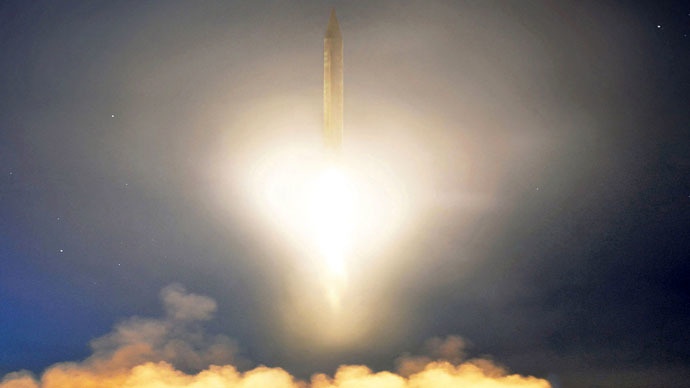 The missiles could allegedly reach mainland America. Pyongyang has carried out a series of tests on long-range missiles, but no signs have been detected that Pyongyang has put such missiles into service, Seoul said. “North Korea's capabilities of miniaturizing nuclear weapons appear to have reached a significant level," the ministry said in a statement adding that North Korea has stored 40 kilograms of weapons-grade plutonium by reprocessing spent nuclear fuel rods and that it’s working on a highly enriched uranium program. This is not the first time that Seoul has made such statements and it is difficult to confirm the information. North Korea is a closed country and occasionally does like to boast about its missile capabilities. In June, Pyongyang tested what it says were new precision-guided missiles. Speaking in May 2014, the South Korean Defense Minister, Kim Kwan-jin, told journalists that Pyongyang had reached the final stages of preparations to conduct a nuclear test. However, North Korea has yet to conduct a test, adding to the theory that Pyongyang enjoys keeping its rivals on edge through a series of veiled threats. After South Korea latest statement, Pyongyang demanded that Washington, who is committed to defending South Korea in the event of aggression from the north, should think carefully if it wishes to further antagonize Pyongyang. “If Washington does not make the correct choice regarding the Korean question, then there will continue to be a period where Pyongyang will strengthen its war capabilities. If the US decides to stop being hostile and meddling in North Korea’s internal affairs, Pyongyang will look favorably on this decision,” the Korean Central News Agency (KCNA) reported. Relations between North Korea and the US have become even more strained after Washington introduced further sanctions, designed to impede access to the US financial system in the wake of a cyberattack on Sony Pictures Entertainment, which the Obama Administration has said was supported by the reclusive country. China has meanwhile urged North Korea and South Korea to improve their relations through dialogue in order to maintain peace and safety in the region. “As a near neighbor of the Korean peninsula, China has always supported the process of improving relations between North and South Korea through dialogue,” the TASS news agency quoted the Chinese Ministry of Foreign Affairs on Tuesday. In October 2014, North Korean officials held talks with their South Korean counterparts in Incheon, the first time such a high level meeting has taken place since 2007. Both parties agreed to resume high-level talks, which have been strained by military tensions on the peninsula. During his New Year’s address last week, North Korean leader Kim Jong Un, who was absent from that meeting in Incheon in October, said that there was “no reason” not to hold a high-level summit with neighboring South Korea. This came days after South Korea made a similar offer to resume dialogue with Pyongyang. "If South Korean authorities sincerely want to improve relations between North and South Korea through talks, we can resume stalled high-level meetings," he said, as reported by Reuters.